Pan American Airways pilot took evasive action as fiery round, greenish-white object passed plane. 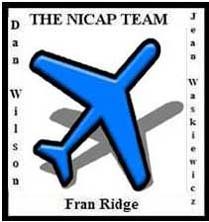 [NICAP UFOE, V] Over a hundred documents were located by Dan Wilson on what appears to be a fireball meteor. The question looms in my mind as to why there were so many. There may be more to this case than first appears, but the lack of a duration doesn't help. But when the DC-6A took evasive action, that alone terminated what could have been a longer experience.